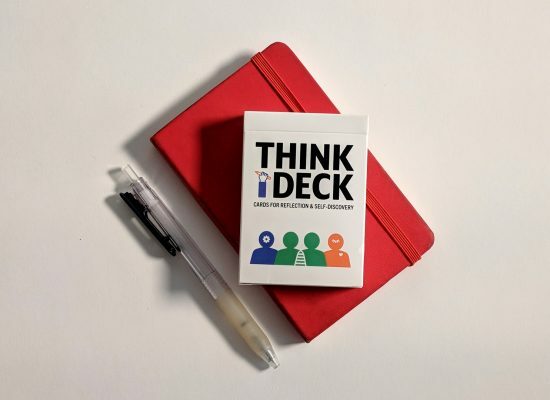 THINK DECK is a toolkit for reflection and self-discovery. With thought-provoking questions, it helps you reframe problems, revisit old ideas, and think more deeply about your career, environment, and relationships. It can be used solo and in group settings with your friends, family, or co-workers. Click here to learn more. THINK DECK was proudly funded through Kickstarter. THINK DECK can be played solo or with a group of friends, family or co-workers. Average time to play is 30-45 minutes. You will go through four phases of the game to help you reflect on your current situation and the direction you want to go. The questions you encounter during the game are designed to help you reflect on three distinct areas of your life: SELF, PEOPLE, FEELINGS. By taking a cross-cut through different parts of your life, you will be able to see where you are going in the right direction and where you could make adjustments. 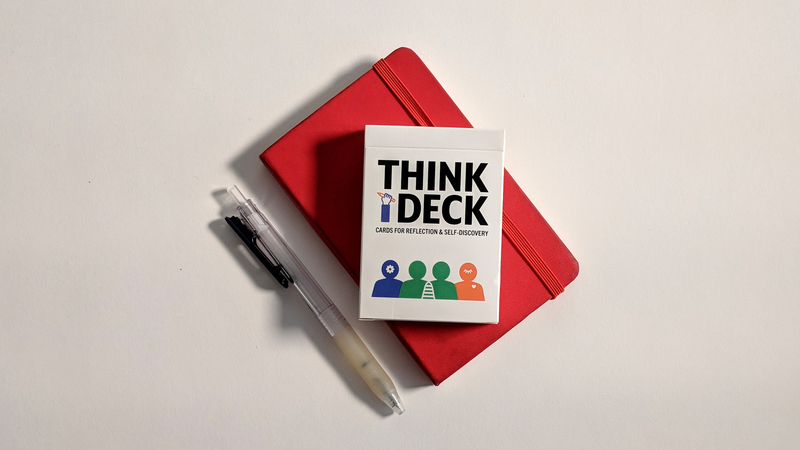 Want to gift THINK DECK to your team at work? We can help with corporate and volume-based pricing. We offer custom instructions for facilitators and can provide custom questions for your unique situation. We can lead your group through reflection and introspection. No matter if with friends, family, or at work. 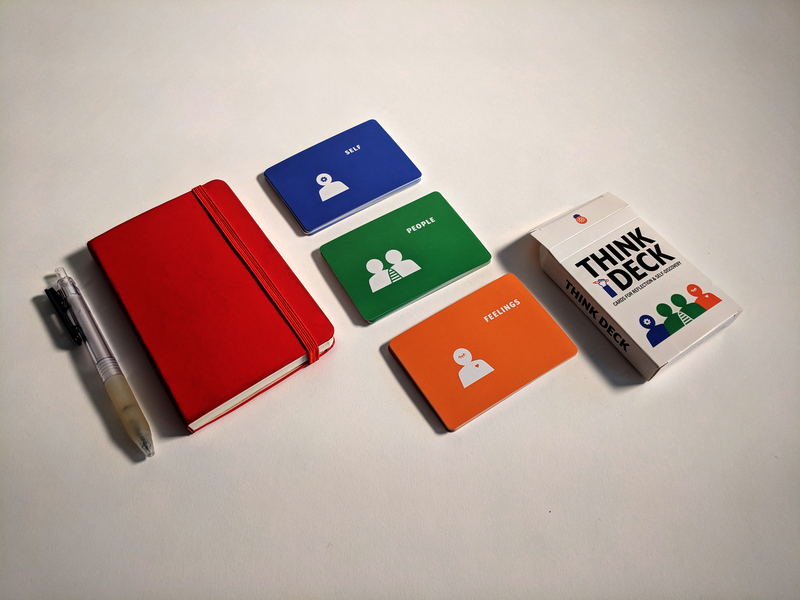 If you are outside the US or Europe and would like to pre-order the new THINK DECK, please send an e-mail to hello@thinkdeck.cards. We will get your order set up right away! 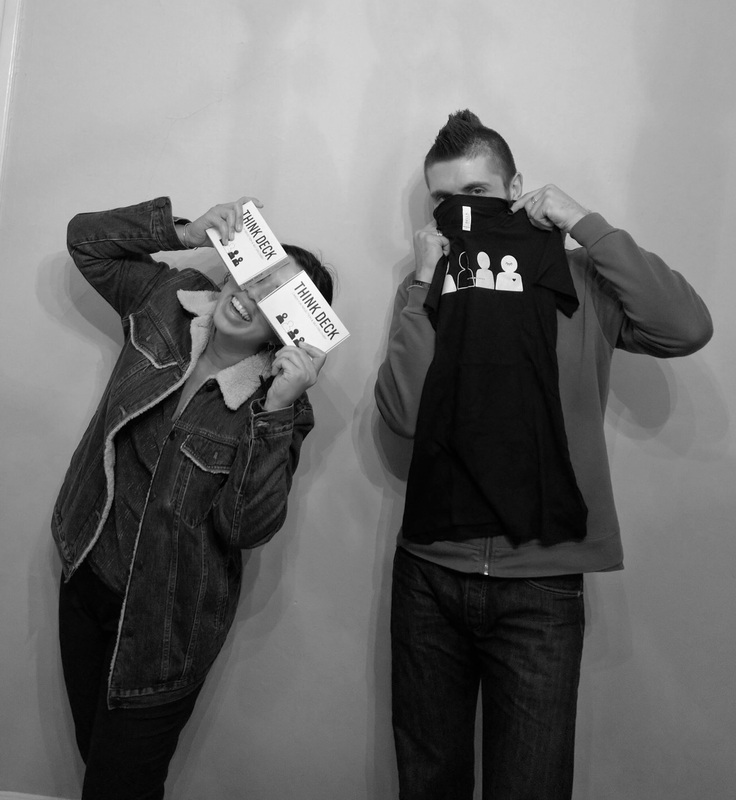 THINK DECK came to life when Philip and Alanna talked about their transitions from "one life to another" in spring of 2016. Alanna left a ten-year stint as a designer and was on the search for her next career move. Philip came out of a company he co-founded seven years prior and was thinking about what would come next for his entrepreneurial endeavors. Both thought about the changes in their lives, read books and blogs, talked to friends, and journaled to assist on their quests. There was no tool out there to help with the transition and changes in their lives. 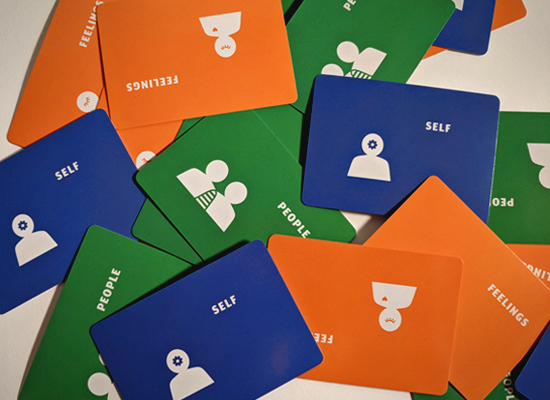 They took their combined knowledge from years of graphic design, product design, building companies and running teams and created THINK DECK - a deck of cards that they would actually want to use themselves for reflection and self-discovery.